Just 35 miles North of Boston on the southern bank of the Merrimac River where it empties into the Atlantic sits the beautiful coastal city of Newburyport. Once a historic seaport of fishing, ship building and shipping, Newburyport today is a vibrant community that attracts many tourists. With unique shopping, fine dining, charming inns and breathtaking scenic beauty, Newburyport MA real estate properties are always in demand. First settled in 1635, Newburyport became a city in 1851. Downtown Newburyport experienced a fire in 1811 that burned its many wooden structures to the ground. As a result, the town passed a law that all future structures from then on would be built using brick. Somewhat unique to Newburyport, these beautiful brick buildings continue to adorn the downtown area to this very day. In Newburyport there is something to do anytime of the year. In the summer you can take a harbor tour, sunset cruise, or whale watch. You can sun yourself on the beaches of Plum Island, enjoy a free summer concert/movie, or stroll the Memorial Boardwalk along the river in the heart of Downtown. During winter you can enjoy cross-country skiing or snowshoeing at Maudslay State Park, or just get cozy by the fireplace at one of Newburyport’s many restaurants and inns. Indeed, Newburyport is a seaport community with a rich history and full of fun for all seasons accessible by boat, train, or automobile. The Newburyport MA real estate market offers many affordable properties as well as stunning homes with unique architecture. Due to the town’s rich history, there are many Colonial and Federal style homes to choose from. 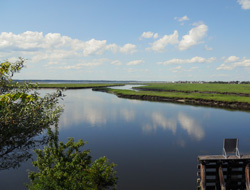 Here you’ll find just a few of the Newburyport MA real estate properties for sale right now. If you have any questions about living in Newburyport MA please give us a call at 1-978-219-4928 or send us an email. If you’re in the market for Newburyport MA homes for sale, why not sign up for our FREE Email Updates and be notified every time a new listing is added to the local MLS which fits your searching criteria?